Tiger Woods has announced that he will play in this week’s Honda Classic in a bid to get more tournament rounds under his belt. It will mark his second consecutive start of 2018 and just his third event of the season. The former world number one hasn’t gone back-to-back on the PGA Tour since the 2014-15 season when he played the US PGA Championship and the Wyndham Championship, which also marked the last time he completed four rounds of PGA Tour tournament golf prior to making the cut at the Farmers Insurance Open this year. 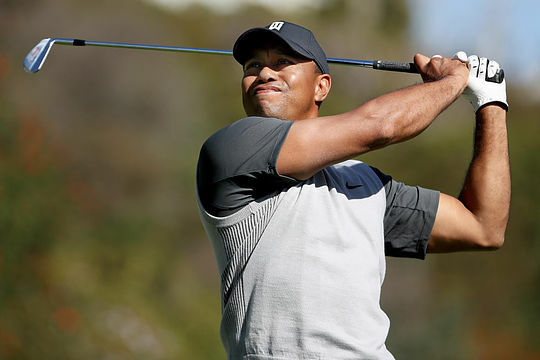 Woods missed the cut at the Genesis Open last week following a second round of 5-over 76 to finish at 6-over. “I need some tournament rounds in and next week is a home match,” said Woods following his second round. Woods has not played the Honda Classic in his adopted home state of Florida since 2014 when he was forced to withdraw. It was shortly after that he went under the knife for the first of four attempts at back surgery. Much like the Genesis Open, victory at the Honda Classic has eluded the 79-time PGA Tour winner. He first played there as a 17-year-old in 1993 with his best finish coming in 2012, when he finished in a tie for second behind winner, Rory McIlroy, following a final round 62. Four-time major winner McIlroy will join Woods again this week at PGA National. “He’s very close, he is very close. Give him a little bit of time. He’s still figuring a few things out with equipment…but he’s close,” McIlroy said of Woods following the Genesis Open.